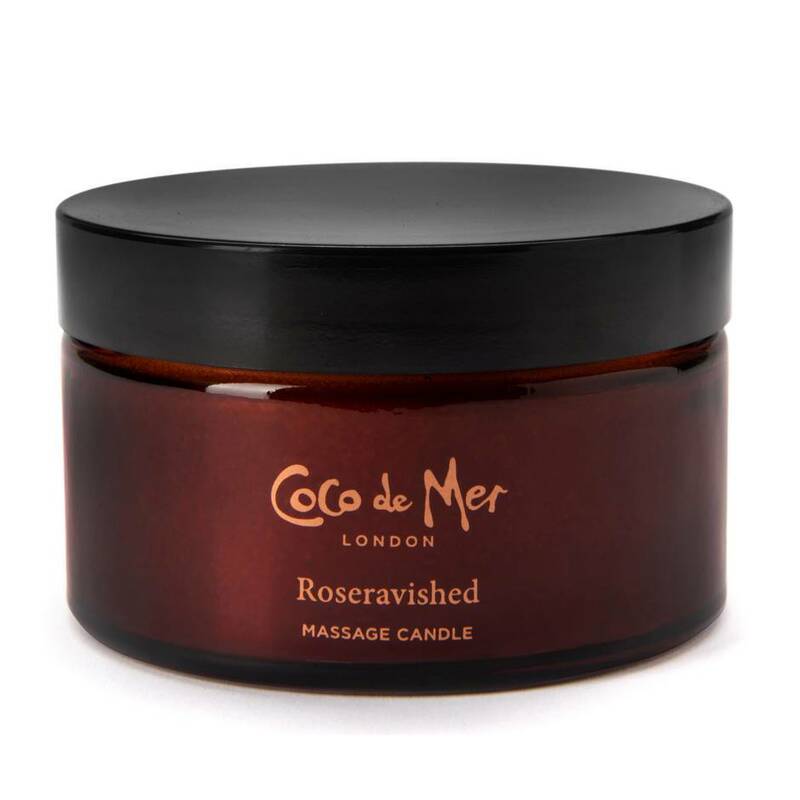 Nourishing, moisturising, and exquisitely scented, Coco de Mer's Roseravished massage candle is a sumptuous addition to any boudoir. Light the wick and drizzle the warm essential oils onto your lover's skin for an exquisite sensual treat. Infused with shea butter and almond oil that soothe and hydrate the skin, this massage candle leaves your body feeling beautifully soft. Present it as a gift to a friend or loved one, or just treat yourself to its gorgeous rose, sandalwood, and patchouli aromas. 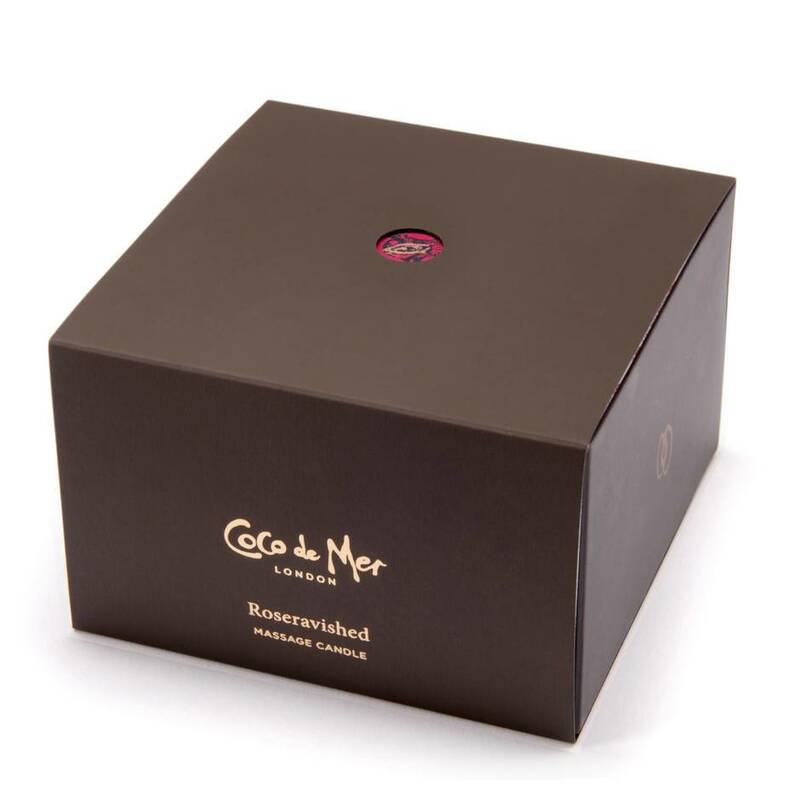 Nourishing, moisturising, and exquisitely scented, Coco de Mer's massage candles are a sumptuous addition to any boudoir. Light the wick and drizzle the warm essential oils onto your lover's skin for an exquisite luxurious treat. I love candles and this is one to be adored. It smells divine and sends a lush aroma around the room when lit. This one has been lit every night since I purchased 2 weeks ago. It still has plenty of wick life left too. Definitely worth the money. We have not used this for massage, and to be honest I probably won't. I just love the smell. 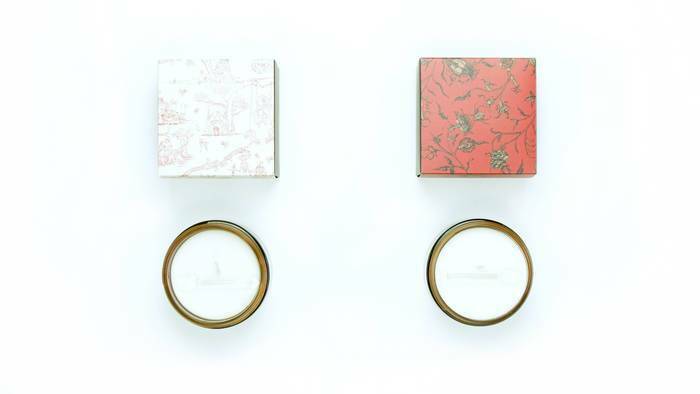 If you collect smelly candles - you need this one too. 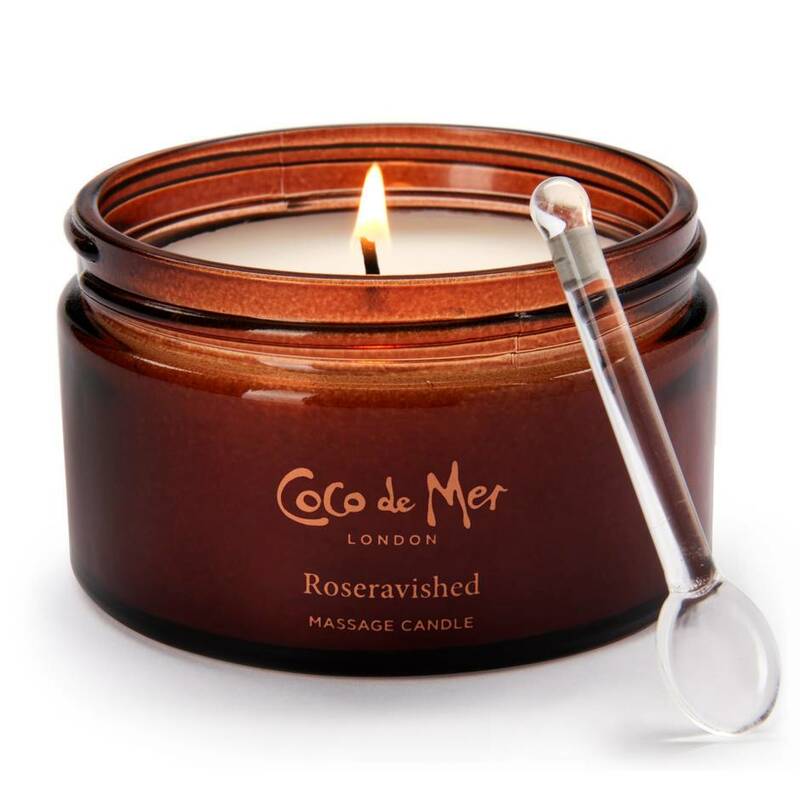 This massage candle is pure luxury. From the quality packaging, the beautiful fragrance and the cute glass spoon, everything screams luxury. Even before lighting the smell is lovely. 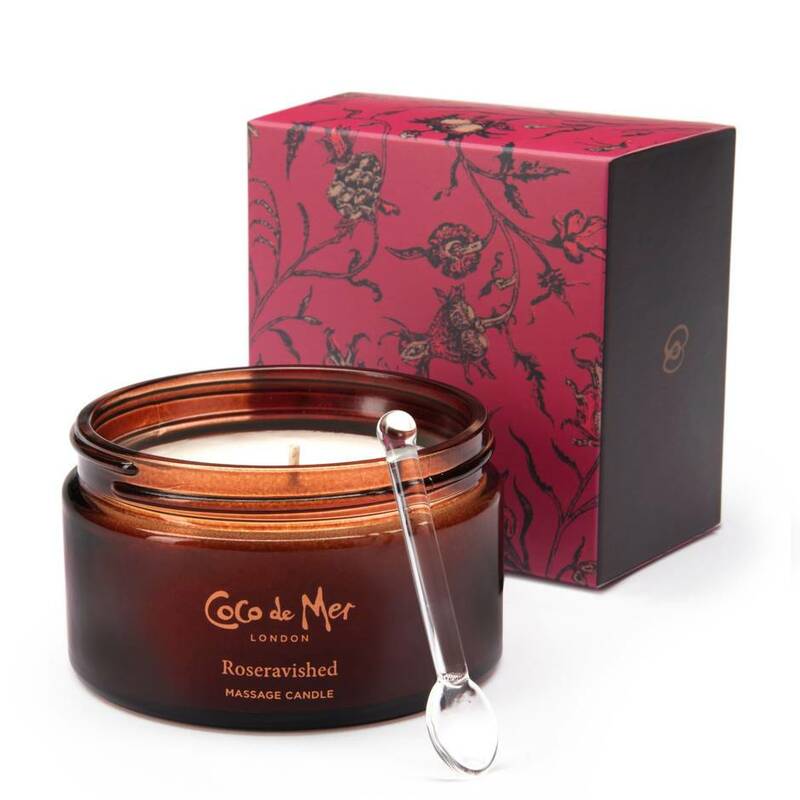 When lighting the candle, the smell intensifies and the warm wax is silky smooth and feels delightful on the skin. The size of the candle makes it well worth the money, and if you are looking for a lavish, romantic night this candle is guaranteed to get you in the mood. Again, such a lovely range. The packaging is so lovely and really gives the products that more luxurious feeling. The scent of this candle is divine (and so is the other one). Even just on unscrewing the lid the scent comes flying out at you before even lighting it. It also comes with a cutesy little glass spoon with which scoops out the heavenly scented warmed and melted massage oil. It fills the room with a lovely scent and also delivers mood lighting to set a romantic scene. A brilliant addition to any romantic night in.